Wow, what an amazing story from Aleinu L’Shabei’ach by Rabbi Yitzchok Zilberstein…He says that the wife receives a greater reward than the husband when she enables him to learn Torah. As a kollel wife, I have to say…I’d rather be a stay at home mom. kollel life is outlook, not halacha. the ketuba, on the other hand, is law. and a ketuba states that the husband should support the wife, (or at least try) , no? please someone, correct me if I’m wrong ? and doesn’t the rambam say that a man should have a trade? And doesn’t he say it’s forbidden to receive money for learning Torah? I really don’t understand the concept of full-time learning which doesn’t pay any bills (or leave time for family), or the idea of a kollel wife, especially an unhappy one!! Why learn Rambam if not to take his advice? where did the idea of women work/mother/ housekeep while the men learn fulltime come from? First off, whoever doesn’t want to be a kollel wife doesn’t have to be. Its a choice, just like you said, the torah requires a man to support his family by law, and he cannot and should not force his wife to allow him to learn while she works. 1 – if the husband was working full time and sill not making enough money to bring food to the table, its inevitable the the wife would have to work too. So too, in our generation, torah knowledge is so meager that, yes, although its not ideal way to live, there’s no other way to uphold torah, and without torah, we don’t have a basic jewish backbone. And so in our desperate situation, the wife goes out to work. 2- there has always been shevet levi in klal yisrael that sat and learned torah all day, nothing else, and klal yisrael supported them – they knew that those people were giving them zchus to fight their battles and win, to receive blessing etc. There is no shevet levi learning today, but there a some men willing to sit in kollel and receive very little for doing so from morning till evening. 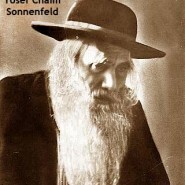 And although the media paints a monster out of the kollel machine, unfortunately most jews today are assimilated, very few are religious, and the percentage sitting and learning torah is a fraction of a percent of the total jews on earth (so who exactly is going to learn torah, who are our poskim going to be, who will teach our children?). There are also those in klal yisrael that understand the need and are more than happy to do there share in upholding torah. This is akin to yissachar/zvulun, just that it isn’t half half. And just to state again, I sincerely do not think everyone must or should do this, it needs to be a choice made by the wife. I myself have a husband that learns and we both understand that at any point that I feel its affecting out household negatively, we’ll need to make changes. Everyone needs to decide how they will best be an eved hashem. It’s not just kollel wives who enable their husbands to learn, but wives who manage on their own at night, on Fridays (or Sundays in chu”l), and Shabbat afternoons when their working husbands are in a shiur. Not to mention the 3 times daily husbands go to shul. The Kollel here was thinking who to honor at their dinner. I said they should honor all the wives (these are not all-day kollel learners, these are all working fathers who are allowed to go out at night and/or the early mornings.) It’s true, the wives give up so much at the hardest times of the day so that their husbands can daven in a minyan or learn Torah.